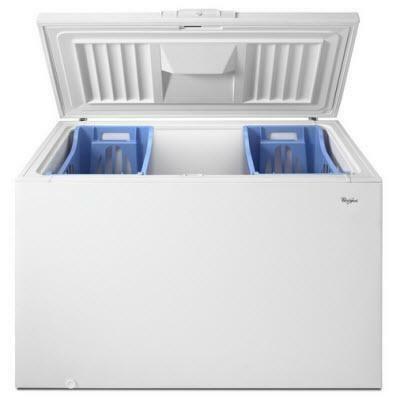 Whirlpool 15 cu.ft. 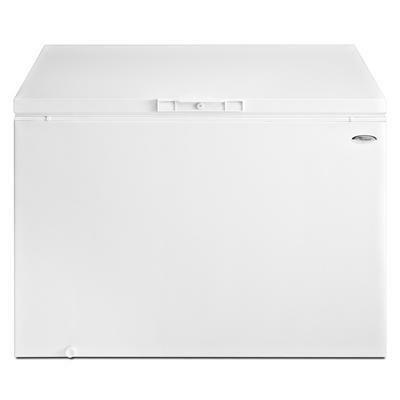 chest freezer. 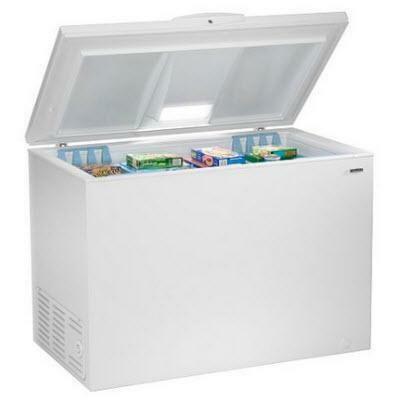 Rounded interior corners and a smooth steel interior make cleaning easy, and with its 5-sided coils that wrap around the entire freezer, you'll also have peace of mind knowing food inside is nice and cold. Total Capacity 14.8 cu. ft. / 0.42 cu. m.
Warranty For one year from the date of purchase, when this major appliance is operated and maintained according to instructions attached to or furnished with the product, Whirlpool Corporation or Whirlpool Canada LP (hereafter "Whirlpool") will pay for FSP® replacement parts and repair labour to correct defects in materials or workmanship. Service must be provided by a Whirlpool designated service company.